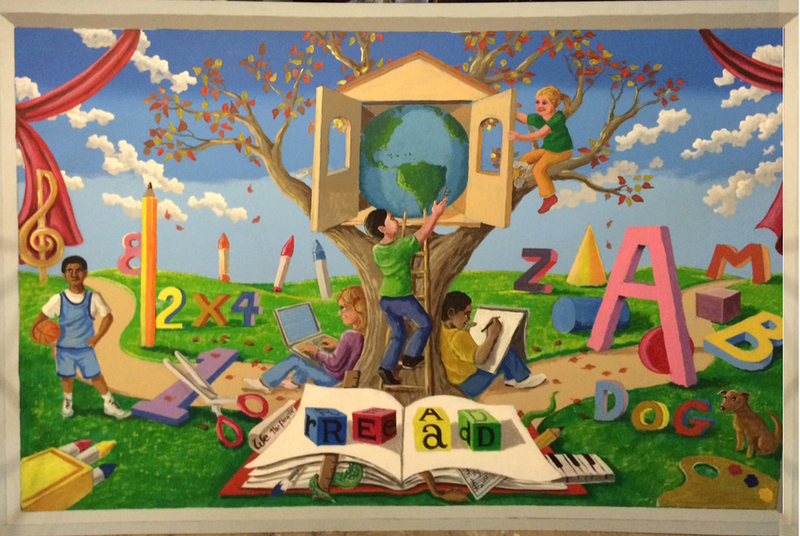 Murals for schools and other educational spaces can speak to viewers in a special language. 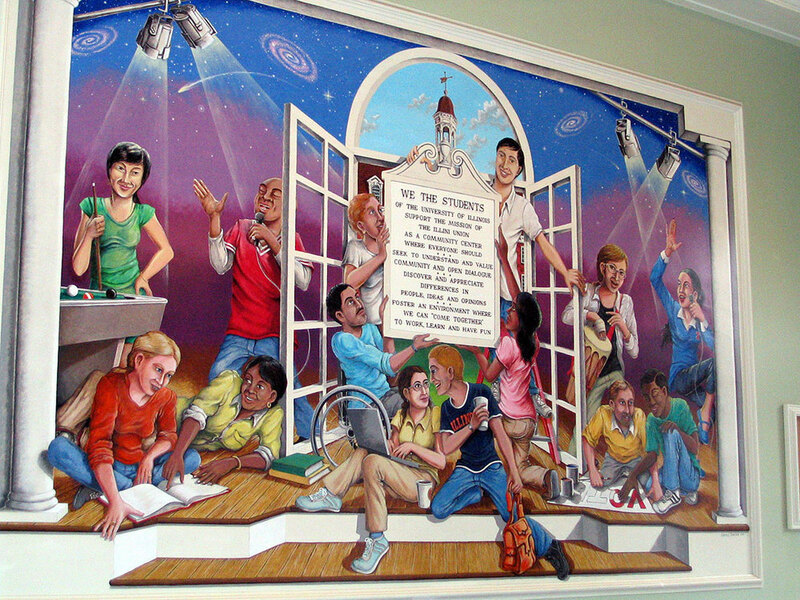 Specially designed murals portray a wide variety of subjects ranging from scientific discoveries and historical timelines to important social issues. Figurative scenarios and metaphorical settings combine to create a visual language that explores links between images and ideas…opening minds to possibilities and solutions. 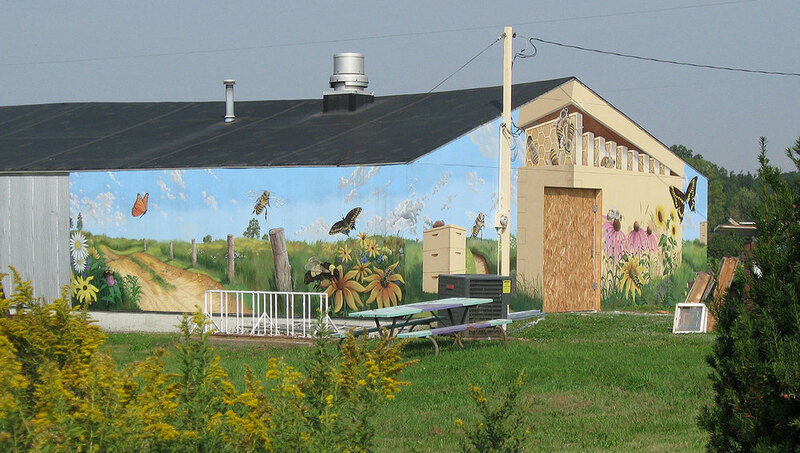 The Literacy and Oppression mural project for the learning center of Centennial High School in Champaign Illinois. 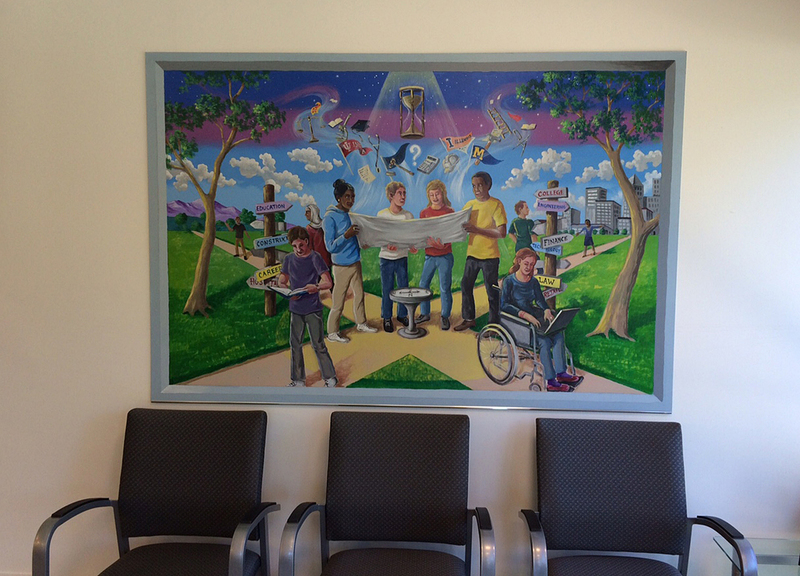 This project utilized volunteers from the high school art classes under my direction. The mural high lighted two paths, one representing illiteracy and intellectual oppression, the other, a road to education and free thought.